Stuff it in your 60-liter pack for side hikes or summit trips. 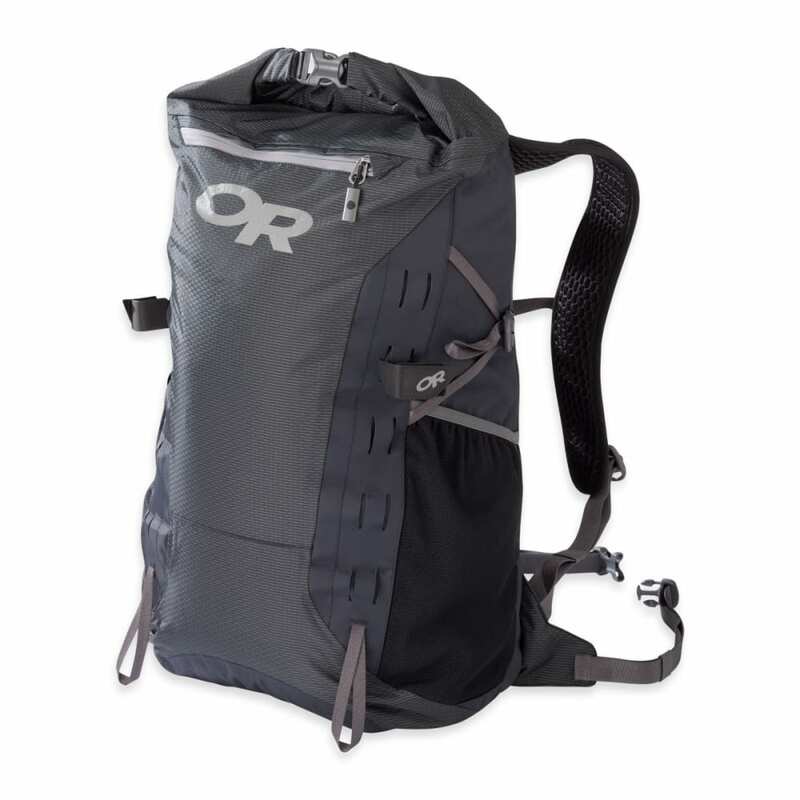 The 28-liter capacity is big enough for day hiking and can cinch down to manage smaller loads. This waterproof pack features a hipbelt that can help with supporting weight or be clipped to the to the rolltop closure to compress the pack and contents.